This is a way overdue but it is better later than ever or something like this. 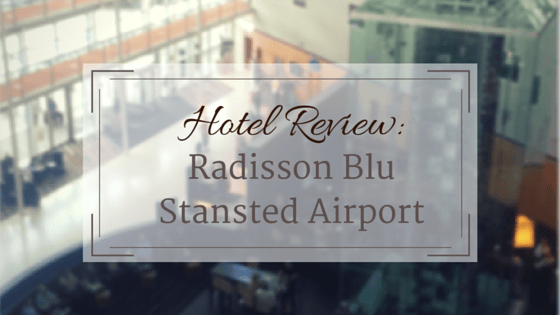 I was suppose to write a review on the Radisson Blu Stansted airport hotel for ages but somehow it slipped my mind and schedule. 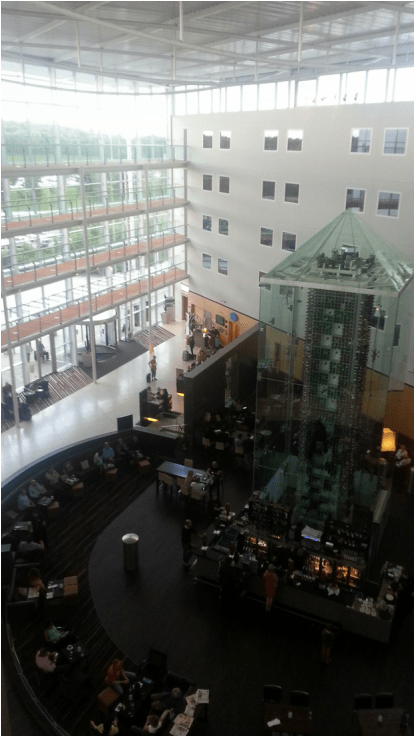 About a month ago we stayed in the Radisson Blu and we did have an interesting experience. As I have mentioned here before I like the Club Carlson brand as they are easy to earn points and they have some decent properties around the world. Their Gold benefits are not to die for but for me the best is the 2for1 offer they have, which I have posted about numerous times.On a recent trip to the Middle East we had an extremely early flight so I decided to book the Radisson Blu Stansted as it is conveniently located to the terminal. I booked this on points as the cash price was about £150 a night or £120 I think on points and cash. I really didn’t want to spend so much cash so I decided that 38,000 was pretty reasonable for what we were getting. As a savvy traveler however I always check the hotel prices before I travel and I noticed that on the morning of my check in date the price had dropped to £120 and the points and cash to £85. I decided to use the points and cash option but when I went to amend my booking online I couldn’t do so, even though I was still withing my cancellation rights. I tried to call the Club Carlson line but to my dismay they do not operate on weekends. I tried to contact their social media but with no response until later and then I decided to call the hotel. The lady told me that it should be ok and they will change it at the hotel. Long story short this didn’t happen unfortunately but the hotel manager was a great help and really tried his best. I was really unhappy about it as it was a system glitch and if I had to cancel my reservation last minute I wouldn’t be able to and I would have lost my points. 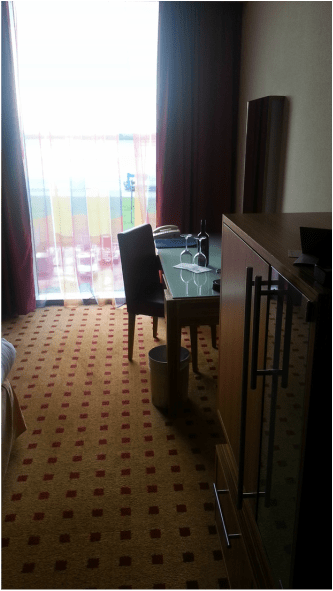 Though Club Carlson later on rectify me with half my points as compensation, so I was happy with this. Back to my hotel stay. Once we arrive in the hotel the check in took longer than normal due to the problem we had. The rest of the check in process was fairly straight forward and all staff we polite and courteous. 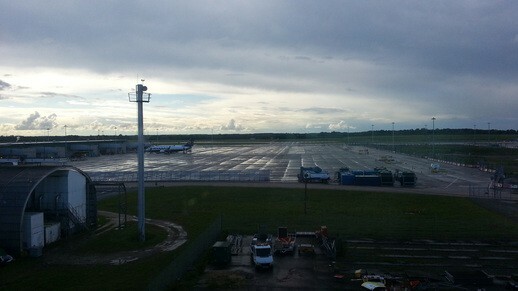 The hotel itself is very convenient and it has a direct covered walkaway to the Terminals. It took us less than five minutes to arrive. It is a four star hotel, the only with direct access and if booked in advance you can have it for a very reasonable price or for 38,000 points. I think the highlight of the hotel is the massive wine “celar” that is in the middle of the bar/lounge. 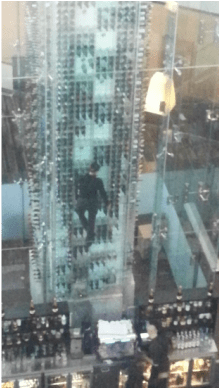 It is a massive window structure with the staff having to climb to get a bottle while performing acrobatics. For sure it is an entertainment for the single business traveler. We were upgraded to a business room which had a nice view over the runaway and I definitely enjoyed all the plane spotting, though as we were in Stansted it was mostly Easyjet and Ryanair. As a welcome gift we had a bottle of wine which the manager swapped for us with a nice cold jar of juice. As Muslims we don’t drink alcohol and had forgotten to change it on the comments box, though it is never a big deal for me. It was just a nice touch that they offered to change it themselves. The rooms itself is spacious for an airport hotel in London, it has a modern touch to it and offered Nesspresso machine, slippers and a robe. As a gesture of goodwill we got drink vouchers for the bar which was an interesting experience especially as we were seated next to single guys talking about the girl in the cellar and her acrobatics. I think for me at some point it became too much even though I am far from shy. All the other tables were taken and the configuration is such that the biggest emphasis is given to the cellar and the seating arrangement is circular facing the cellar. 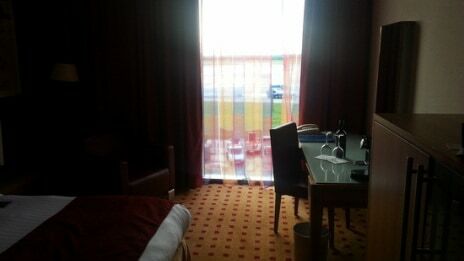 Overall I liked the hotel and I would stay there again next time I am flying out of Stansted. The staff are pleasant, the bed was comfortable, the rooms was clear and well proportionate. Everything you would expect from an airport hotel.